P!nk is one of my fav singers! Her songs have a deep meaning; be it ‘Fuc***g Perfect’, ‘So What’ or, ‘Stupid Girls’, every song is awesome! 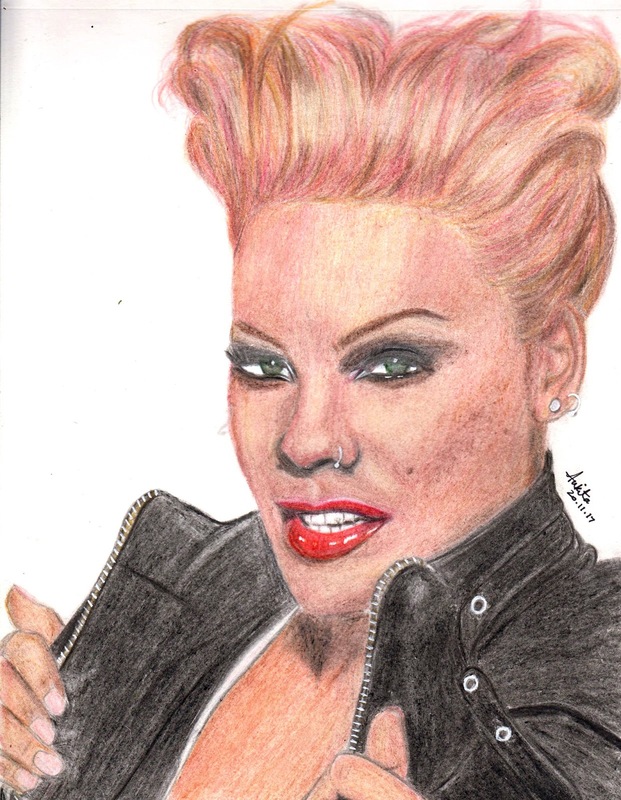 Alecia Beth Moore (Sep 8, 1979) known as P!nk, is an American singer, songwriter, dancer and actress. She was signed to her first record label with original R&B girl group Choice in 1995. Recognized for her strong signature vocals and acrobatic performances, she has sold over 47 million albums worldwide. She has been credited for breaking boundaries and pushing the envelope throughout her career and regarded as the "most trailblazing artist" of her pop generation. Pink is an animal-rights activist and a prominent campaigner for PETA, contributing her voice toward causes such as the protest against KFC.